and morphed into this stunning frame. Beautiful motif on the outside with delicate small cove that meets the flat panel and small arrow detail on the inner lip. This frame demands attention! 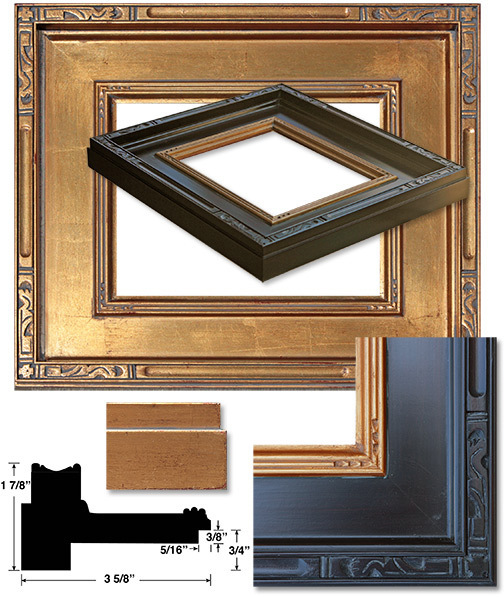 Solid wood frame in Broken Gold or Dark Espresso, 3 5/8 inches wide and 1 7/8 inches tall.